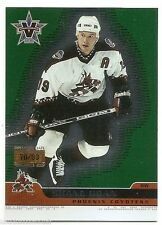 Phoenix Coyotes Right Wing-- Shane Doan. The card is in Mint condition. It is card #74. What a great pick-up for Phoenix Coyotes collectors!